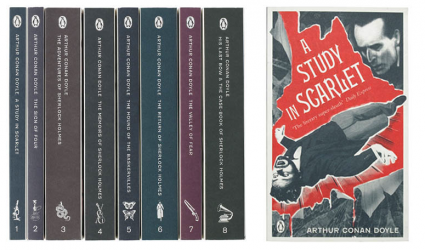 By 1929 we already had Captain Arthur Hastings fulfilling this role, but some famous Watsons didn’t come until after this point — Archie Goodwin (Fer-de-Lance, 1934), say, and Lionel Townsend (Case for Three Detectives, 1936), — and in fact it’s interesting just how many classic detective fiction authors largely forgo the Watson in their work, opting not just for third-person authorly authority, but also a degree of intelligence and specialism in any partnerships they did use: Anthony Berkeley, Gladys Mitchell, Michael Innes, John Dickson Carr, Edmund Crispin, Ellery Queen, Ngaio Marsh, E.R. Punshon, Christianna Brand, Dorothy L. Sayers, Margery Allingham, Miles Burton, Freeman Wills Crofts…even Christie abandoned slow ol’ Hastings fairly quickly. I mean, sure, there’s the odd one or two but they’re definitely in the minority. So, here’s the thing: if the Watson character was scorned by so many of the luminaries of this genre, why does the perception of a Watson resonate so strongly? Adam Roberts uses the verb ‘doctorwatsoning’ at the start of Jack Glass, even, so why can you refer to a Watson and everyone know what you’re talking about? And — perhaps more importantly — if it’s such an ingrained concept, why is there so much difference in the portrayal and perception of that character? There is inevitably scope in the interpretation of any fictional character — my Gideon Fell is not your Gideon Fell, David Suchet gets Poirot hilariously wrong in key regards for me (though nowhere near as wrong as Albert Finney), I know someone who thought David Walliams was brilliant as Tommy Beresford (I don’t like them, I just know them). Nevertheless, there are aspects of each character — constants, let’s say — that once strayed outside of do not become the character: Sherlock Holmes does not sing, James Bond does not dwell on the consequences of all the murder he perpetrates, Mrs Bradley never coldly and rigorously outlines a logically watertight case against a guilty party. But the key way in which these characters differ from Watson is that they are the focus of their stories: they are the people we read these books to look at. Watson, by contrast, is the window through which we look in on Holmes; a slight deformity in the glass in no way impedes our view any to meaningful extent, and usually we’re so focussed on the compelling brilliance of that mind that we’ll forgive an occasional thickening of the medium, a slight diffraction of the light, if we even notice it at all. No-one is looking at Watson, and so for the 100+ years that this hasn’t been going on, Watson has been getting away with all sorts of things under our noses. 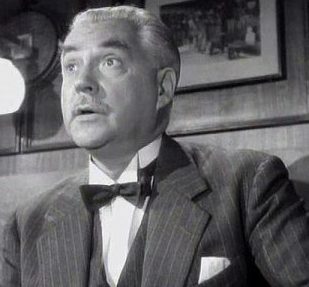 Nigel Bruce famously played Watson as the kind of buffoon you’d easily see forget to concentrate on breathing and so suffocate in mute perplexity by the end of his third scene, but it’s a portrayal that remains famous now because it seems so off-key: this is supposed to be an educated man, a qualified doctor of medicine, not some second-tier Marx Brothers stooge. Indeed, it’s almost an insult to your audience to make Watson too dim: “his intelligence must be slightly, but very slightly, below that of the average reader,” remember — Watson is our eyes and ears. Watson, in short, is us; we can’t possibly be Holmes, that’s why the character appeals, but we could be Watson (which is why that character appeals) and if he’s dim then, well, you’re saying that we’re dim. And we’re not. We read detective fiction, thankyouverymuch, and are clued up to how this goes. Reading many of the original Holmes canon now, here is little in the way of challenge (‘The Adventure of the Empty House’, say) and so not much to test us as readers. We, with our modern knowledge and the great many hours we have dedicated to reading detective fiction in its many forms, have an advantage over those characters trapped in late-19th century stories that can easily turn to a kind of disdain: we are ahead of you, Mr. Holmes — clearly you are not so special after all. But Holmes is powerless to change this: we’re looking at Holmes, remember, he’s the reason we’re here, so he can’t suddenly undergo a massive transformation before our eagerly fixed-and-centred eyes (something Steven Moffat and Mark Gatiss realised and updated perfectly for their deservedly-successful BBC series). Take away Holmes and why are we there? We came for Sherlock Holmes, not Shitlock Bones. What can change, and what a number of authors have exploited now that Holmes is in the public domain, is Watson. To stick with the BBC’s Sherlock for a moment, take the beginning of the third episode of series 3 in which Martin Freeman’s permutation of the character enters a drug den with a tire iron and engages in an actual physical skirmish. This is in keeping with the man he is: a trained soldier, a military man, capable of violence, motivated by a sense of human interest and friendship towards his neighbour…about as far from Nigel Bruce’s simpleton as you can get, but still undeniably Watson. Following later revelations in that episode, at Watson’s bitter reflection on the chances of knowing the people he knows, we’re given a perfect summing up of the character by Benedict Cumberbatch’s Holmes that resonates perfectly with Conan Doyle’s Watson™ and Updated Watson: you can see the threads connecting these two very different men, but the character has enough scope in him to admit this without conflict. Contrast this with the nerd-rage caused by the very first episode of Sherlock in which Holmes results to nicotine patches to focus his mind: as the Victorians would say, Sensation. You don’t change Holmes, it was scoffed, he’s clearly not going to work in a world of mobile phones and forensic science. Except he does, because the character as he is will always work, you simply need to alter the people around him accordingly (witness the most recent episode The Abominable Bride — Cumberbatch’s Holmes remains virtually the same in the Victorian milieu, it’s Freeman’s performance that undergoes the most amendment from previously) . Brilliant post and looking forward to your second one. Critics do sometimes comment on him, but it’s usually about the exact relationship he had with Holmes and other aspects of him which you bring out can get overlooked. I think Doyle popularised having the friend as narrator and hence Watson gave his name to the type – Poe missed a trick there really using an unnamed narrator. Other writers wanted to cash in on his success so lifted the template, Watson included. I think the turning away from the use of the Watson figure as narrator, which you talk about, happened because it was being used excessively before that and writers wanted to try and tell their stories using different more challenging methods maybe, as one benefit of the Watson figure is that you can delay the revelation of the mystery. This is harder if your narrator is the detective or even the criminal. Though in the latter case the challenge is more to make the story exciting despite the readers knowing or thinking they know all about the crime. Christie and Berkeley are good examples of this sort of thing. It really is interesting to reflect just how few people use the whole ‘friend of the detective’ trope in the Golden Age; so many authors opted for that third person overview (as in many Christies — practially all the non-Hastings Poirots and all the Marples as far as I can remember — all Sayers’ Wimsey novels, etc) or have a equal balance of responsibility in any double-acts, with one amateur and one professional detective (Fell and Hadley, etc). I was honestly surprised how little Watsoning actually goes on. I think also that the overusing of Watson figures pre 1920 meant there were a number of poor imitations. I remember from my earlier reading of pre 1920 stories that I did start to get a bit bored of being narrated to by a Watson figure. I think the Watson figure although an easy option in one sense can be harder in others, as the Watson figure can be written really well or really badly. Since we spend a lot of time with this character we need to enjoy their voice/narration and I think I found with some of the Watson imitators that the voice wasn’t that well written. Superbly put, couldn’t have expressed it better myself. I’m wondering in general if early authors WANTED a Watson with a strong or distinctive voice. For the most part, the Watson figure is our entry into the private world of the detective. Yes, this can be accomplished by a third person omniscient narrator, but the Watson can make it feel like we are in the room with the detective, taking part in the investigation, letting clues be dangled before us. It makes sense for the Watson to have minimal personality in order to make it easier for us to step into his shoes. Doyle informs us in detail about how Watson met Holmes, and he allows Watson to meet and marry, but we don’t get much more information about the man, including his personality. Christie gave us more information about Hastings, including allowing his meeting and wooing of his wife to be a part of his second case with Poirot. Ultimately, though, the reader is more interested in the crime, and so the Watson just becomes part of the background, a narrative device, and in Christie’s case, extraneous enough to remove altogether. I look forward to your second part, JJ, and don’t want to anticipate you. I do think that what I just wrote refers to written Watsons and absolutely cannot work when the writing is adapted to stage or screen. The audience enters the room through the fourth wall and doesn’t need a “fourth wall” character, so if you’re going to include him or her, you need to give that character a personality. And since Watson, Hastings, Nigel Bathgate, et. al., have mild to no personalities, they are open to interpretation. I will always love Nigel Bruce’s Watson, wrong as it is, because of the place he holds in my childhood. I think he was an American stereotype of the British bore, but Bruce mined that character for gold in Hollywood. I think Hugh Fraser, more than any other Watson figure I can think of, managed to come closest to presenting a character who stepped right off the page. His Hastings was a good foil for Suchet’s Poirot, ever willing to fade into the background as needed and yet eliminating some of the book character’s outright stupidity and focusing on his courage. You make a good point. I wonder if there’s an aspect, too, of the fact that in the early days of the detective novel the personal lives of the protagonists never featured: they were the same from one story to the next (hell, Watson’s wife dies without so much as a blink from him). Perhaps ‘Watson’ as the entry point reduces the opportunity to go on about them personally too much. Hastings meets his wife…then all but buggers off for the rest of Poirot’s career — this is Christie saving us updates on Mini-Hastingses and the like that would inevitably have to follow. Rendering that part of your characters null and void to a narrative does somewhat reduce the desire to include too much personal information. 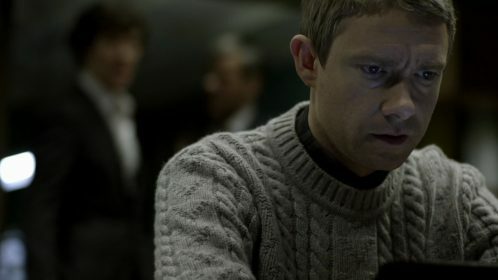 It occurs to me that “The Many Faces of John Watson” could refer to the other characters who played a Watson role, too. But, rest assured, I’m sticking to John H.
Which is fine, since I am definitely on the “pro-Watson” side and look forward to hearing what you have to say. You haven’t read CURTAIN yet, have you? One of the main characters in that one is Hastings’ daughter. If Christie was a modern day writer, we would have known about this daughter from the get-go, first as the apple of her father’s eye, although the postpartum depression that “Cinderella” goes through almost breaks up their marriage, then as an adorable little girl (who either gets kidnapped and rescued by Poirot or is dangerously ill through a case), then as a sullen teenager (maybe involved in THIRD GIRL, my review of which I’m about to post) and then as this headstrong young woman in CURTAIN. We would have suffered along with Hastings through Cinderella’s death and its effect on his family. All the books would have been two hundred pages too long, with the mystery getting buried in the personal stuff (hello, Elizabeth George!). I couldn’t even finish “The Italian Secretary”. I think most people would rather be Watson than Holmes. Watson is a seemingly ordinary man who is chosen by an extraordinary man to be his friend and confidante. We like to think something similar could happen to us. We want a taste of the extraordinary, yet we don’t necessarily want to give up our normal life. Watson gets to have both: a normal life AND the chance to take part in exciting adventures. He gets to know Holmes, but he does not have to shoulder all the responsibility Holmes does. He can allow himself to overlook things, to misunderstand them, he is allowed to fail. He is not privy to the same scrutiny Holmes is. Holmes has to solve every case, or he failed, the only thing we except from Watson is to be a good friend, a good story-teller. I noticed that some authors seem to despise Watson, or maybe they envy him so much that they want to get rid of him entirely. Laurie R. King in her Mary Russell novels treats Watson like some simple-minded idiot claiming that Holmes only put up with him out of pity. Annelie Wendeberg is even worse in this regard. Sam Siciliano replaced him with another character who is Sherlock Holmes’ cousin. It is this weird sort of reasoning saying that a brilliant man could only have brilliant friends, hence King’s Mary Russell and Wendeberg’s Anna Kronberg are almost as smart as Holmes and yet they lack all his likeable quirks and this is why it’s difficult to care about them. Talking of treatment of Watson, I fond it very interesting that in Anthony Horowitz’s recent Moriarty — authorised by the Conan Doyle estate, let us not forget — it’s pretty much said outright that Watson overstated Holmes’ abilities and he (Holmes) wasn’t quite the brilliant mind that was made out. It’s arguably slightly tongue-in-cheek as it’s being discussed by a roomful of the very policemen who would have been made to look foolish by Holmes at one point or another, but it’s an interesting perspective to take. Laurie R. King’s dismissal of a lot of what Watson said about Holmes has frustrated me to the point that I can’t read her books any more. The number of times she wrote “Well, I know Watson said Holmes did such-and-such, but actually that’s not true” got so ridiculous that I started wondering why she didn’t just make up her own detective since she’s keen to dismiss so much of the canon. Grrr. I barely finished The Italian Secretary. Not a good book by any means, and a horrible adoption of an attempted Watsonian voice. It was actually that which got me thinking along these lines to begin with. I also believe that the sidekick provides a useful mechanism whereby the author can outline key points of the plot without having to resort to paragraphs of straight exposition. In the Holmes stories we often hear the key elements of the case from Watson reading out articles from the newspaper. It’s essentially an info dump; but because it’s Watson’s authorial voice, instead of Doyle’s, it doesn’t feel like an info dump. Again, this was a great post and I’m looking forward to reading Part Two. I’d never reflected on the info-dump thing before, but you’re absolutely right — especially given the propensity for a lot of late-Victorian fiction (and earlier, actually) to just list facts or outcomes or observations. Hmmm, maybe this is why the Watson archetype has endured so completely, because it was the first really successful attempt to circumvent that sudden “here are fifteen relevant points that I shall now list in order of thier dominance regarding the plot” aspect of so much lumpen plotting. I suppose it also gives scope for intorducing elemtns of the plotting that might otherwise seem incongruous. For instance, Holmes and his 243 types of tobacco ash — upon discovering and immediately identifying ash he can say “Well, of course, I wrote a monograph detailing the 243 type of ash…” and with a narrator there to verify this it seems somehow more likely. This in turn gives the narrator the chance to introduce things themself: “I knew that Holmes had also written a monograph on the 746 different types of dog hair…”, and we just accept this necessary part of the plot development without going “Hang on, who the bloody hell does that?”. It softens the punch of how unlikley it seems, and enables that acceptance to just quickly move things on. Wow, after all this excellent discussion in the comments I’m now worried that Part 2 isn’t going to live up to its billing…! There’s also the purely logistical literary point that it’s more interesting to read dialogue, a give and take, rather than a lecture. The Watson figure marvels at, scoffs, argues with and encourages the Holmes figure, supplying much-needed drama to what could be reduced to an intellectual exercise. I love cmikolj’s point of the Watson humanizing the detective. Talking to each other is human, as is the emotional effect of the detective’s work. When Hastings left, Poirot got nicer policemen to work – and talk – with, and then he got Ariadne Oliver. Official policemen have their teams to discuss the case with. It’s all drama, said the drama teacher! Reading this, I think I’m the only one who doesn’t dislike Hastings. I’ve liked him, but then, my main memory of him was in Dumb Witness, a book so tedious that the only joy was Hastings snarking at Poirot. Come to think of it, he would have been more interesting if his tongue had been a little sharper.